Payment of a retainer deposit or email confirmation of booking is evidence of the clients acceptance of is Agreement. Bookings are taken on a first come, first serve basis and the clients' date and time cannot be held without payment of a retainer deposit and confirmation/signed contract. 2.1 Non-commercial (Personal) bookings, completion of a signed contract and a $50 retainer deposit is to be paid seven (7) days before the event date to secure the date and time. 2.2 For Bridal make up, completion of a signed contract and a retainer deposit of $50 to be made within seven (7) days after the trial run. 2.3 Commercial bookings, an email confirmation is acceptable and a $100 retainer deposit paid seven (7) days before the event date to secure date and time. 2.4 Email confirmation is acceptable with $150 retainer deposit required from Talent Agencies or Production Companies paying day rate. 2.5 Prices quoted are valid for 30 days from the quotation date and are subject to change. 2.6 Exceptions allowed only if previously discussed and agreed upon and terms confirmed in writing by email or letter. 3.1 Non-commercial (Personal) Clients: A $50 retainer deposit payable by Bank Transfer or cash, is to be paid upon signing the contract to secure the date and time nominated. Full payment, less deposit, is payable by bank transfer prior to the date, or in cash on the day before Ann Marina commences work. Personal cheques will only be accepted four (4) weeks before the event date and for the full amount of the event and payment cleared before event date. Personal cheques not accepted less than four (4) weeks before the event date and EFTPOS not available. Returned cheques will incur a $30 fee. 3.2 Commercial/Corporate Clients: An email confirmation or signed contract together with a $100 retainer deposit is to be received seven (7) days before the event date to secure the nominated time and date. The total invoice amount, less deposit is due seven (7) days after the event date. Late payments received more than twenty eight (28) days after the seven (7) day due date will incur a 10% surcharge and 15% for every subsequent month. Payments accepted by Bank Transfer or Corporate cheque. Returned cheques will incur a $30 fee. 3.3 Talent Agencies and Production Companies: An email confirmation or signed contract together with a $150 retainer deposit is to be received seven (7) days before booking date to secure the nominated hours, rates and date/s. The total invoice amount, less deposit, is required seven (7) days after completion of work. 3.4 Prices quoted do not include additional costs or any other unique or special requirements that are not made known to Ann Marina at the time of the original booking contract - e.g. parking expenses, special permits, false eyelashes, specialist products, prosthetics, cosmetics etc. 3.5 Returned cheques will incur a $30 fee, plus the amount of the cheque and all costs involved in enforcing payment of the debt owed. Subsequent bookings will require full payment in advance. 3.6 Credit Card and EFTPOS facilities are not available. Credit Cards can be used for cash transfer/payments. 4.1 The client understands and agrees to give seven (7) days notice in advance of the event/appointment date of a cancellation, or the retainer deposit will not be refunded. 4.2 All retainer deposits can be transferred to a re-scheduled date if notice is given seven (7) days before the event date but only to an agreed date determined by Ann-Marina and within six (6) months of original booked date. If less than seven (7) days notice given, 10% of the total amount will be charged as a re-schedule fee. 4.3 The client is responsible in providing an indoor location if inclement weather conditions occur. The client will provide an alternate location address on contract and notify Ann-Marina within four (4) hours before the event start time on Mobile 0432 847489 if this occurs. 4.5 If the client requests a change in location once Ann-Marina has set up, the time required to reset is counted as part of the contracted time and overtime/run may be charged to compensate. 4.5 Bridal trials are non-refundable and non-transferable. 4.6 In the unlikely event that Ann-Marina cancels your booking for unforeseen or emergency reasons, all attempts will be made to send a replacement makeup artist who will be fully experienced in the services required. If Ann-Marina is unable to find a suitable replacement, your money paid shall be refunded 100% plus a One Hour Free voucher given. This refund does not include the Bridal Trial payments. 5.1 Ann-Marina will stop working at the scheduled time stated in the contract, email or verbally agreed to hours. Extending the time is at the discretion of Ann Marina. All efforts made to accommodate the clients request for overtime, but another booking may be scheduled and a time extension may not be an option. 5.2 Increases: Any increases in number of faces/clients, hours or services required, must be notified seven (7) days prior to the event date and time extensions will be charged pro-rata at the same rate of party package chosen or hourly rate previously agreed to. All over time/runs will be charged in half hourly increments, cash payable at time of event. 5.3 Reductions: Should the number of faces/clients, hours of booking or services agreed upon be reduced without seven (7) days notice prior to the event (and on the day), the client will still be charged for the faces, hours and services originally booked and agreed to. This condition is required to offset losses incurred by Ann-Marina for expenses and reservations waivered for a clients booked date and hours. It is recommended that alternative faces or activities are utilised e.g. adults faces painted at a childrens' party or staff faces painted at a shopping centre promotion. Please contact Ann Marina to discuss this requirement if needed. 5.4 Delayed Start Time: If start time is delayed by the client, the client agrees to still pay the full contracted amount and Ann Marina has the right to cease work at the original end time stated on the contract. Ann-Marina will make all efforts to accommodate the delay but reserves the right not to work over time if other appointments are scheduled. 5.5 No 'second turns' or touch ups for face painting will be allowed until all clients have had their first application of face painting. 5.6 Only previously agreed designs, theme's, number of model 'looks' or costume changes will be applied or counted on the day of the event. In the case of face painting Ann Marina will have a book of designs available in accordance with the design theme the client requested. It is the clients' responsibility to advise children/guests/adults that no other designs will be painted. Changes to designs, theme's, number of model 'looks' or costume changes will incur extra charges and time booked. It is at the discretion of Ann-Marina if she is available to extend the time previously booked. 5.7 If the client requests a change in location once Ann-Marina has set up, the time required to reset is counted as part of the contracted time and overtime/run may be charged to compensate. 6.1 The client agrees Ann-Marina is not required to set up or work in adverse conditions such as extreme temperatures, sun, rain and excessive wind etc. 6.2 The work space will be clear of any high traffic areas, where applicable. 6.3 Indoors: The client agrees to provide a 2m x 2m work area with adequate space, lighting, electrical outlets, access to a rest room. Ann-Marina will provide table, chairs and all other supplies unless client supplies pre-approved professional products approved by Ann-Marina. 6.4 Outdoors: Outdoor work spaces cannot be in an area exposed to direct sunlight as exposure to sunlight of high temperatures causes some face paints and cosmetics to degrade. Option (a) Client provides a level 2m x 2m minimum covered/shaded area with lighting, electrical outlets, access to a rest room. Ann-Marina provides table, chairs and all other supplies unless client supplies pre-approved professional products approved by Ann-Marina. Option (b) The client provides a level area with adequate space for Ann-Marinas' 3m x 3m Marquee or a 2m x 2m Shade Umbrella and lighting, electrical outlet and access to a rest room. Ann-Marina also brings table, chairs and all other supplies unless client supplies pre-approved professional products approved by Ann-Marina. For bookings of over 2 hours or more, Ann-Marina is to have a 10 minute paid break every 2 hours. 8.1 The client agrees Ann-Marina will not supervise children and is present only as a face painter/make up artist. The behaviour and safety of children is the responsibility of the client/parent/guardian. 8.2 The client, or client nominated person, will supervise security of equipment while Ann-Marina is loading/unloading and setting up/down of equipment. 9.1 The client acknowledges that services provided involve the application of skin products directly to the relevant parts of the face and body and agrees that they have disclosed and discussed any and all medical or other conditions known to them which a reasonable person would disclose, including but not limited to skin sensitivity, conditions such as active herpes (cold sores) and general allergies for the client and the other people who are receiving services. 9.2 The client agrees that all children and adults with skin allergies or sensitive skin should either not participate or have Ann-Marina perform a patch test at the beginning of the event. 9.3 In doing so, the client agrees that Ann-Marina is not liable for and the client will indemnify Ann-Marina from any and all claims, liabilities, costs, loss and causes of action relating to personal injury or death arising directly or indirectly as a result of the clients failure to disclose pertinent information relating to medical or other conditions. 9.4 Ann-Marina reserves the right to refuse to work on or with someone who has an illness, open wounds or a condition that may be contagious. 9.5 For safety reasons, Ann-Marina will not face paint or apply make up to children under 3 unless held by a parent or guardian. 9.6 Ann-Marina will use reasonable care, but is not responsible for damage to clothing of property. 9.7 Ann-Marina will not paint or apply cosmetics on any part of the body that is not legal to expose or any place she does not feel comfortable about. In addition, Ann-Marina will not paint or make up any subject matter she deems offensive or disturbing. Ann-Marina reserves the right to deem what is a 'Limitation' . 10.1 Ann-Marina travels free of charge within the 6066 Perth postal code. All bookings outside this area are charged travel fees at Ann-Marina's discretion, these fees will be discussed and agreed upon when bookings are made. 10.2 For bookings that require over night accommodation, all expenses including accommodation, meals, travel, and sundries are payable by the client. 11.1 The client agrees to provide Ann-Marina with a parking space close to the event location with clear access for Ann-Marina to transport equipment and supplies into and out of the event location. 11.2 Hotel, venue or car park fees are payable by the client if free parking is not available. 11.3 Parking permits or passes will be mailed to Ann-Marina in time to be received before the event date. 11.4 Permits to trade or space rental and set up for indoor or outdoor venues are payable by the client. 12.2 In the event the client has hired a professional photographer, the client agrees to notify him/her that credit for Ann-Marinas' work must be stated where appropriate. 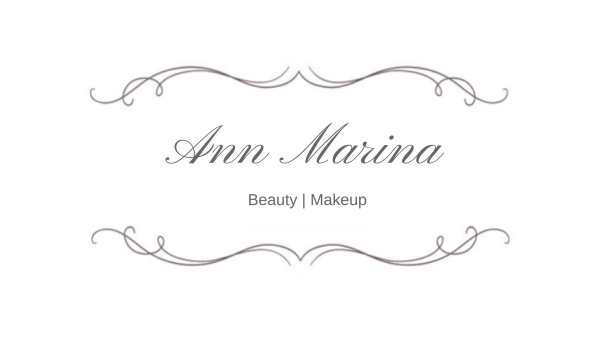 Ann-Marina will credit any photographers work when photographers name or business is known. The client agrees to pay for any accidents, damages, injuries or theft, caused by guests, pets, other persons, staff and authorised or unauthorised personnel, to Ann-Marinas' equipment, supplies or personal property. The price list may change without prior notice. A 10% surcharge fee may apply for early starts prior to 7.00 a.m., late finishes after 10 p.m., Sundays, Public Holidays, Christmas Eve and New Years Eve. Ann-Marinas' referrals are based entirely on experience, attitude, talent and skills of suppliers recommended. Services of third party suppliers are entirely their responsibility and Anne Marina accepts no liability. All prices do not include GST, unless otherwise stated.